The Federal Communications Commission (FCC) is being sued over its failure to adhere to a federal transparency law and for wrongfully withholding agency records about net neutrality from the public. American Oversight, a legal watchdog group formed this year to expose conflicts and fraud in the Trump’s administration’s executive departments, filed a lawsuit Tuesday morning against the FCC for failing to comply with provisions of the Freedom of Information Act (FOIA). Led by a former State Department attorney, the group is asking a federal judge in the US District Court for the District of Columbia to compel the release of records concerning the FCC’s plans to gut net neutrality. The debate over net neutrality is one of the most quarrelsome in the commission’s 80-year history. 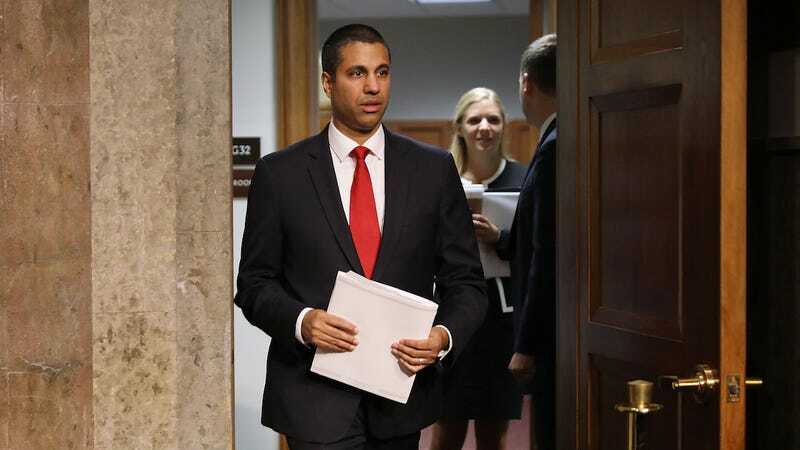 Under the direction of Chairman Ajit Pai, President Trump’s pick to head the agency, the FCC is on course to dismantle Obama-era regulations that made it illegal for internet providers to block or slow access to websites on a whim. More than two years ago, the commission voted to reclassify broadband internet access as a “common carrier” under Title II of the Telecommunications Act, designating the internet a utility no different from water or electricity. This gave the commission authority to enforce a sweeping set of rules designed to protect net neutrality—the principle that internet providers should enable equal access to all legal online services and content without discriminating against particular websites or applications. The FCC did not immediately respond to a request for comment regarding the lawsuit. Net neutrality supporters fear its demise will give providers such as Comcast and AT&T carte blanche to establish “prioritized access” to online services from which they directly profit. Verizon, for example, has a vested interest in ensuring swift access to its subsidiary Yahoo’s mail service, whereas the company may seek to penalize its largest competitor, Gmail, by bringing its traffic to a crawl. Chairman Pai has routinely dismissed these concerns publicly and in April called them “hypothetical harms and hysterical prophecies of doom.” But that’s not true and Pai, a former Verizon attorney who has spent nearly five years on the commission, knows it. Internet providers have a well-documented history of inflicting handicaps on companies for no reason other than to force users to adopt products in which the providers have a direct stake.